Living in Williamson | Williamson, Inc. Located just south of Nashville in beautiful Middle Tennessee, Williamson County is home to more than 205,000 residents who enjoy a high quality of life. Considered one of the most desirable suburban locations in the state, Williamson County is known for its high-performing schools, pristine recreational facilities, strong business climate, and wide range of restaurants and retail choices. You’ll find a mix of home options, from luxury apartments and condos to planned subdivisions, historic houses and farm properties. While Williamson County has seen tremendous growth, community leaders have taken steps to preserve its rural character and vibrant history. You’ll love living, working and playing in Williamson County. Discover the rich history, unique attractions and so many other things to do in the Livability Williamson County, TN digital magazine. Visit Livability Williamson County, TN to learn more. WHO'S HIRING IN WILLIAMSON COUNTY? The State of Tennessee Department of Economic and Community Development maintains a web-based jobs bank of open positions, pulling from a variety of online sources. The online hub for technology jobs and information about the Middle Tennessee region. Create an account to upload your resume or company’s jobs today. 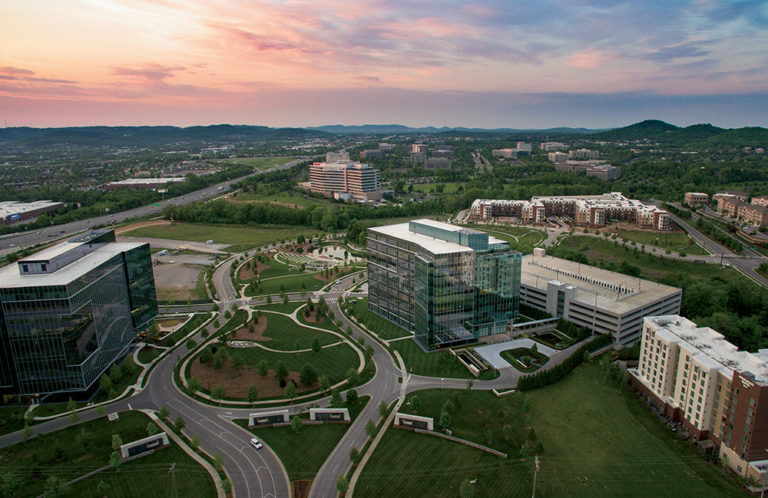 Interested in which companies are growing or moving into Williamson County? Find recent and past expansions and relocations here. Download 2016 expansions and relocations. Download past expansions and relocations. The 2018-2019 Livability: Williamson County, TN Magazine is out and now available online! In addition to celebrating more than 30 years of exceptional growth for the county, the magazine highlights Williamson County’s quality of life, business climate, attractions, restaurants and must-do activities, providing you with a powerful tool to tell others about our wonderful, thriving community. We encourage you to share the magazine with anyone considering relocating to Williamson County, or to any businesses who might be able to use it in their recruiting efforts. Cool Springs Galleria Mall – Cool Springs Galleria has five department stores, over 165 specialty shops, and the 500-seat Oasis Food Court. 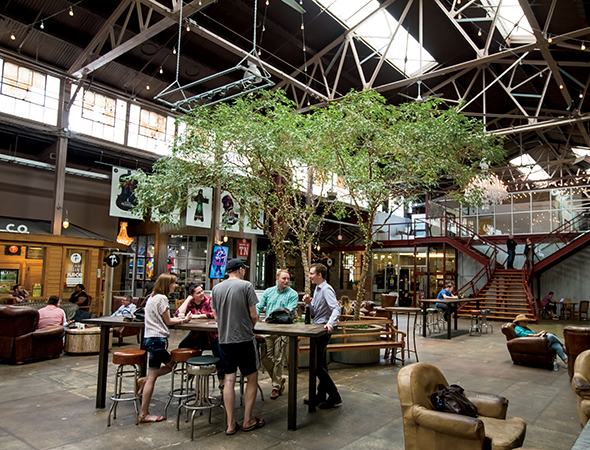 The Factory at Franklin – The Factory at Franklin is a vibrant shopping, dining and entertainment complex located in Franklin, Tennessee. The Factory is a member of the National Register of Historic Places. The Factory occupies the circa-1929 buildings that once served as the Dortch Stove Works, Magic Chef and later the Jamison Bedding Company. Historic Downtown Franklin – Downtown Franklin is full of rich history and beauty. There are dozens of boutiques and antique shops nestled in the original historic town buildings and reclaimed battlefields which create a unique shopping experience. Leiper’s Fork Village – Leipers Fork is the only historic village on the Tennessee portion of the Natchez Trace Parkway and offers the quaintness of the past and the convenience of the present with friendly merchants and great country cooking. Williamson County is lucky to have plenty of beautiful public parks, including Concord, Granny White, Maryland Way, Owl Creek, Primm, River and Tower parks. Crockett Park is the largest with 164 acres of open fields, walking trails and athletic fields. It is also home to the historic Cool Springs House, the Eddy Arnold Amphitheater and the Williamson County Indoor Soccer Complex. The Little Harpeth River runs through Williamson and Davidson counties, and some spots provide great opportunities for whitewater kayaking, rafting, and paddling. There are a few campgrounds along the Little Harpeth, and one seven-mile stretch is rated Class II by American Whitewater. One of the most popular biking spots in the area is the Brenthaven Bikeway Connector Trail, which connects both Crockett Park and River Park in Brentwood. The trail traverses an attractive wooded corridor along the Little Harpeth River. Other popular biking destinations in the area include Harpeth Woods Trail, Cane Connector Trail, and Mill Creek Greenway Trail. Deerwood is a 27-acre natural area and state-certified arboretum that showcases native trees, migratory birds, butterflies and other wildlife. The park has a one-mile walking and bikeway trail with 12 nature stations, ponds, a wildflower meadow and a nature center. For indoor as well as outdoor activity, the area’s three YMCA branches – Brentwood Family YMCA, Maryland Farms YMCA and YMCA of Franklin – are popular year round. The Brentwood/Cool Springs area is also home to multiple elite sports training complexes. D1 Sports Training provides custom sports training programs including an NFL Combine training program, along with expert coaching and the latest in sports therapy. A-Game Sportsplex is a premier indoor sports complex focusing on basketball, hockey and volleyball. As for older adults, The FiftyForward Martin Center has been welcoming the 50-plus crowd since it opened in December 2002, and has seen significant growth in membership ever since. A variety of classes and programs are offered, plus special interest groups such as Word Smiths (writers), Historical Seniors, Mountain Dulcimer musicians, Martin Men, Wine Sippers and Book Clubbers host many events.